Father’s Day is Sunday 18th June this year. 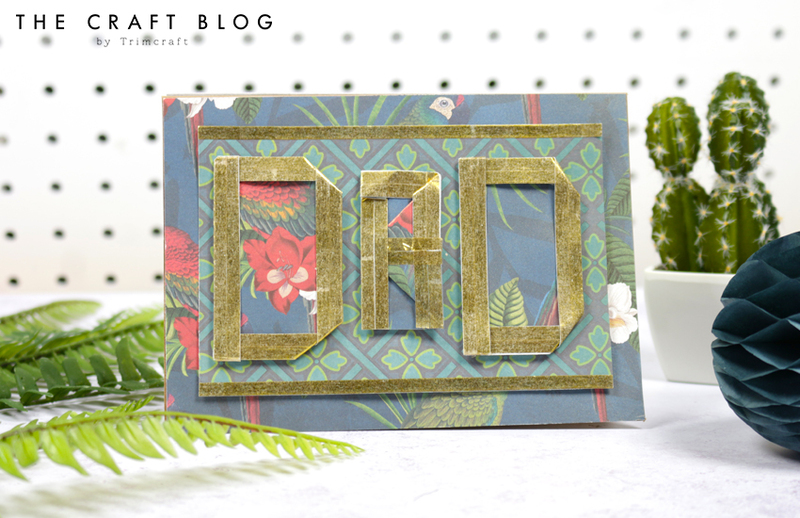 Here’s a really fun origami Father’s Day card tutorial for you to follow to create your own handcrafted card. It’s really easy to create using our free template and your favourite papers. Read on to find out how Angel created this cool card! 1. Download the origami template and make your DAD letters, I used a bit of double sided tape to keep the folds down. Set aside for later. 2. Take a 5” x 7” card blank and cover with a patterned paper of your choice. We chose the super cool tropical parrot design from the First Edition Botanical Beauty paper pad! 3. Cut another rectangle slightly smaller than the previous to create a layered effect on the front of your card. TIP: Use some Gold washi around the boarder of the smaller rectangle to make it stand out and attach to the card using foam squares to add depth. 4. Attach your previously made origami letters and you’re done! We love this cool Father’s Day card! It would also make a create birthday card for your Dad too. 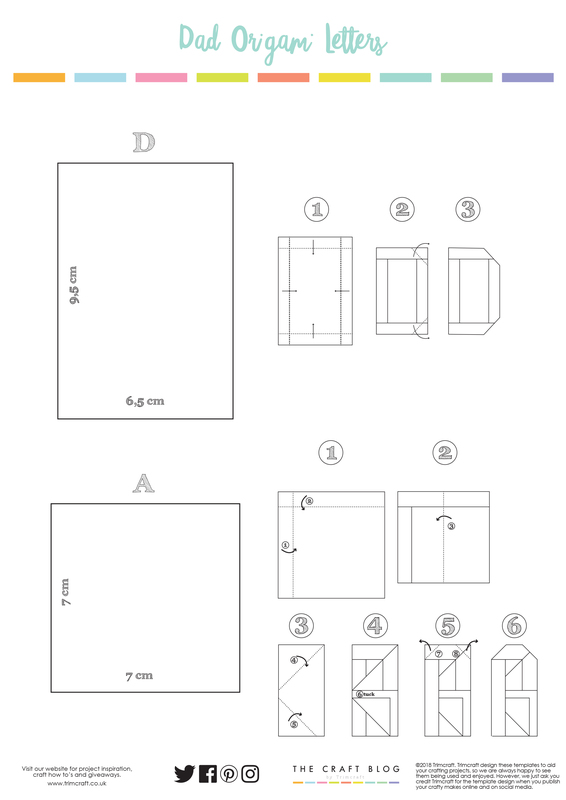 Will you be making this origami card? We’d LOVE to see so don’t forget to share your projects in the Inspiration area and to #Trimcraft when uploading to social media!